Letter Box Hamper is a brand new way to send beautifully wrapped luxury British food & drink, with simple and easy letter box delivery. 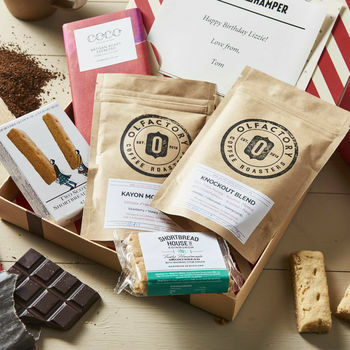 This hamper is ideal for friends and family who love the smell and taste of fresh coffee to start their day, and makes an amazing gift when it arrives as a surprise through the Letter Box. 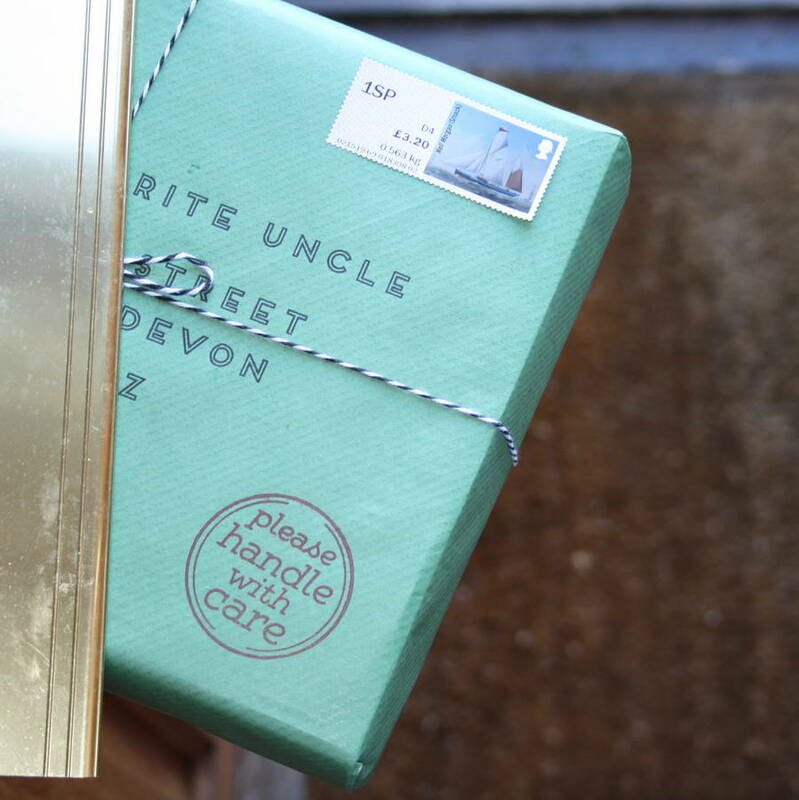 Choose to have your hamper wrapped and posted directly to the recipient, or gift wrapped for you to give in person. A personalised card with the recipient's name and your personal message. 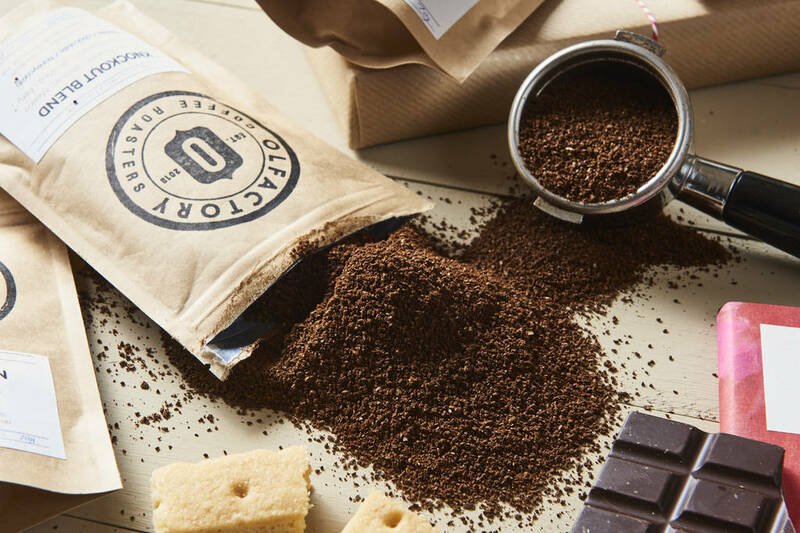 Olfactory Coffee's delicious blend of Brazilian and Colombian coffee (Fazenda Cruzeiro and Agustino Forest) with a smooth taste of oats, cranberry and caramel. 70g ground beans. 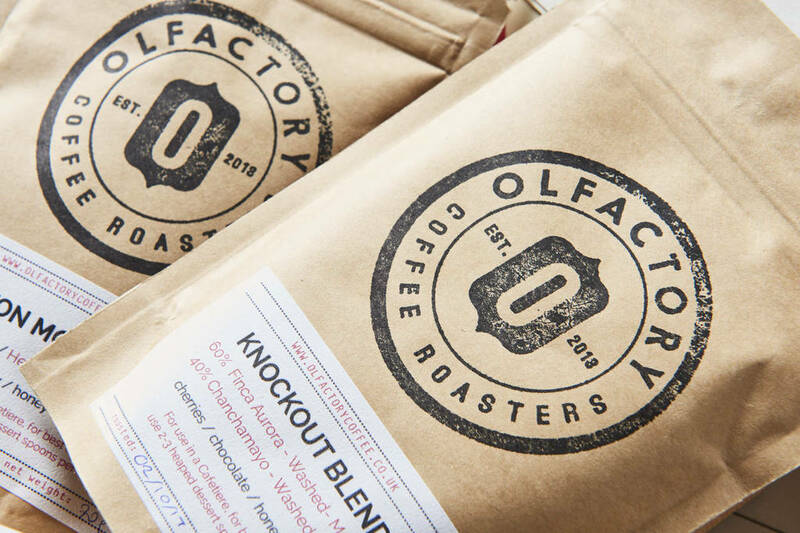 Olfactory Coffee's new Ethiopian Rocko Mountain coffee, sweet and full bodied with delicate caramel sweetness and mild lime acidity. 70g ground beans. Roast Espresso dark chocolate, from Coco Chocolatier in Edinburgh. 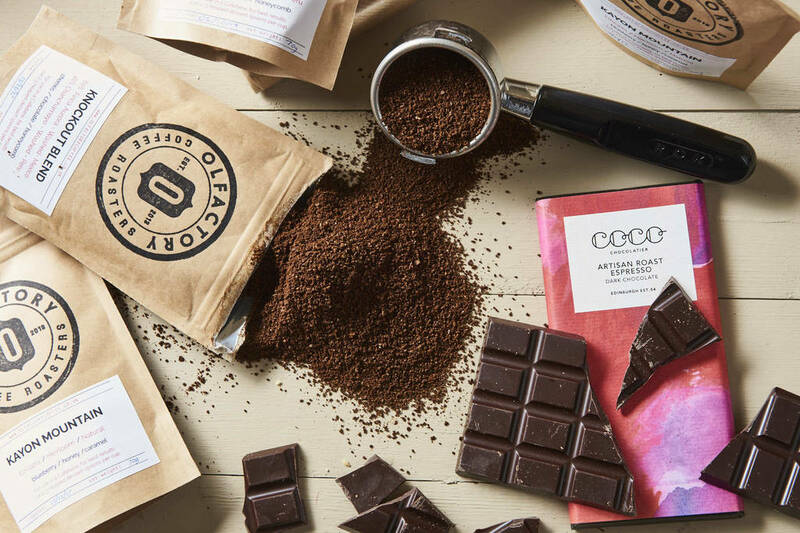 Single origin 64% dark chocolate meets Bonanza coffee from El Salvador, delivering a dark and intense taste of the tropical. 90g bar. Shortbread House of Edinburgh Original with Stem Ginger shortbread, handmade in Edinburgh using a traditional Scottish recipe, with a delicious buttery flavour and a light crisp texture. Twin pack. 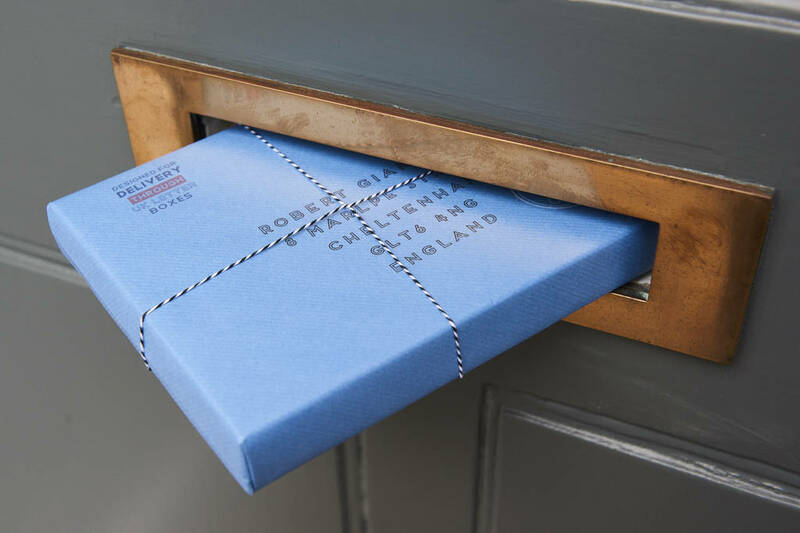 Our Letter Box Hampers are designed to fit through UK Letter Boxes. 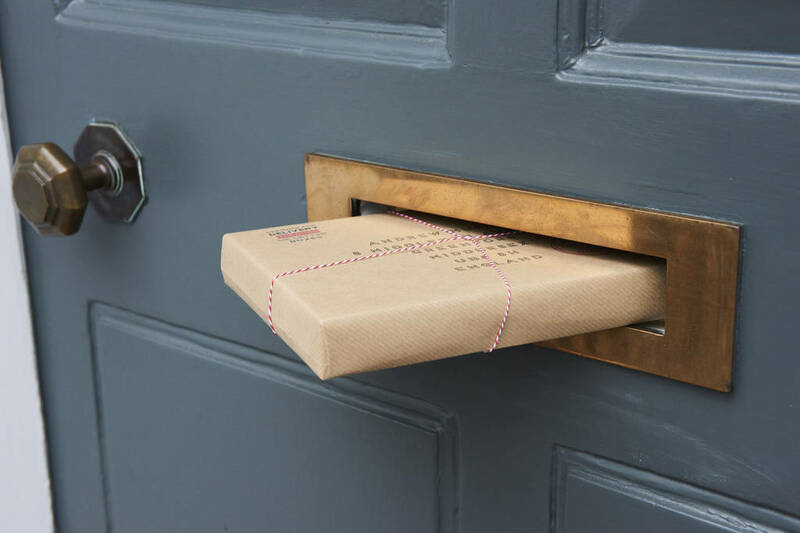 Guaranteed, surprise, hassle free Letter Box Delivery for the special day. Dimensions: length 23cm x width 18cm x height 3cm. All of our little hampers can be shipped anywhere in the UK and most international addresses. 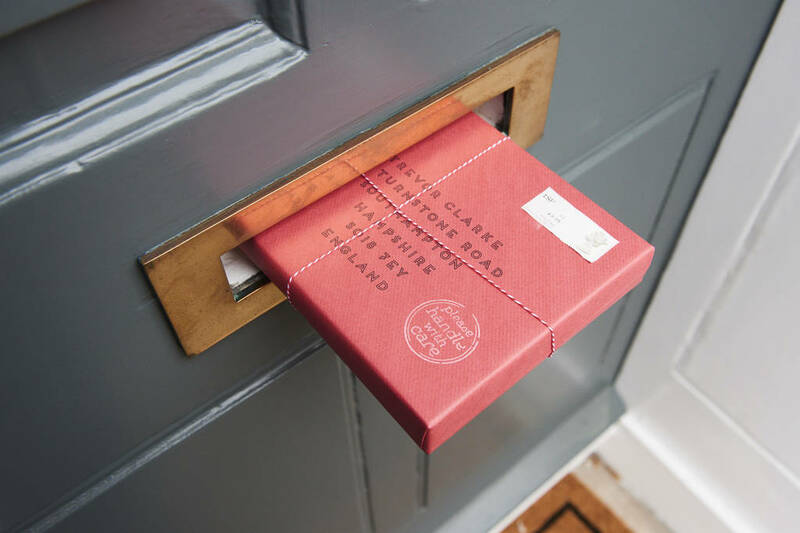 This product is dispatched to you by Letter Box Hamper.